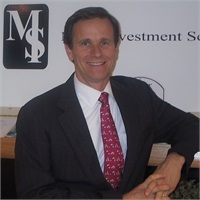 Stephen W. Mack | Mack Investment Securities, Inc.
Mr. Mack is owner and President of Mack Investment Securities, an FINRA broker dealer handling security investments, The firm was originated in January 1986. Mr. Mack, a CERTIFIED FINANCIAL PLANNER™ practitioner, has been involved in the securities business for more than 32 years. Formerly one of Merrill Lynch’s top brokers, Mr. Mack was the resident manager of the Merrill Lynch Rockford, Illinois branch office. Mr. Mack attended the University of Michigan, graduating in 1976 with a degree in finance. Mr. Mack joined his father in their family Cadillac business in the summer of 1976. After attaining the position of General Sales Manager for Mack Cadillac, Mr. Mack left to join Merrill Lynch in 1981 locating originally in their Sears Tower branch.